After the ACTs at my school this week, I'm going to take a break from Cosmic Break EN since I just can't have fun in it anymore. The lag's the worst it's ever been, and Union Wars are 1/2 Resha/Eris with the other half easy pick-off bots, and Team Fights that are labelled "No Resha/Eris" half the time, and then trolls come in with Reshas and Eris' anyways.. I even saw ReyRyushu (I think that's how you spell it, he's a DOS Cosmic Hero) saying "I'm forced to use Resha or I'll lose". <- THAT is just sad. Cosmic Break TW would be okay since I still don't have lag in it, but unfortunately the TW community in there is still a bit too unskilled/not tuned enough bots to be viable to play against with a challenge. Play Glory Destiny with me. Show us you irl pic as a going away present D=. Astral is an owl-girl moebot. @BT - Silly Titan, she's not going away. If she did Suki would be sad. But yes, moar pix plz. 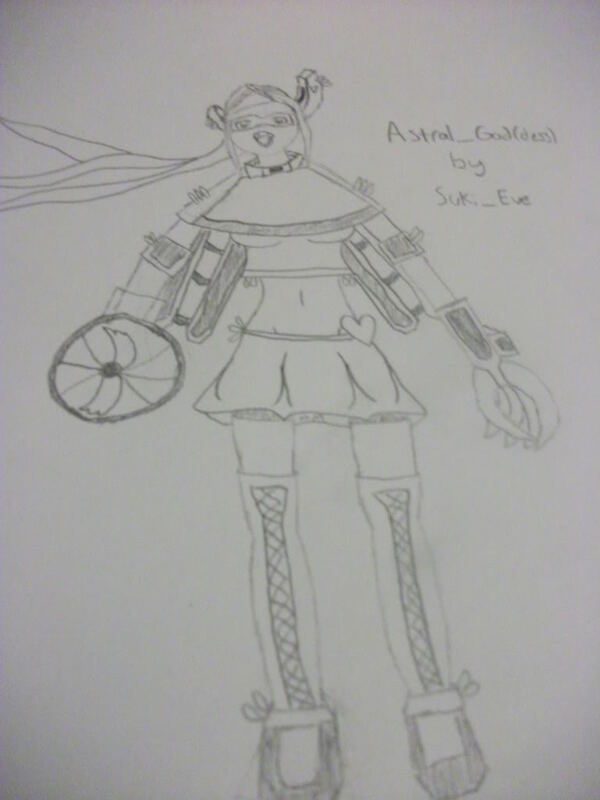 DoubleEdit: I offer a picture of Suki in trade for a picture of Astral. WIZ just stacks Mialys but quite a few are proficient. I know what she looks like in real life. You jelly? Also, add me on Facebook already. >:c I sent you that request agesssssssss ago. No just curiosity cant be hotter than the girl I love. I'm not even on Facebook that much anyways. And if I am, I'm only on there for about 10secs or less. That sketech is the best sketch ever. Be sure to prepare for your abuse later. I have a spare horse whip I'm not using in my shed. Buying the School Days VN that's being translated into English later. None of those. Only mah computer. Yes lets go play something else together. Be my game buddies :'(. Last I remember, Astral was not into H stuff.. I'm trying to be a bad influence.